When the weight of the ferrari 250 Europa GT was found excessive compared to the competition, Ferrari requested Pinin Farina and Scaglietti to develop a lighter berlinetta on 2600 mm (102,4 in.) wheelbase 3.0 Litre V12 chassis. The front end had a protruding elliptical grille aperture with two integrated foglamps. The body shape was that of a sleek fastback with protruding rear fenders. The body was made of aluminium. The car was an immediate success. 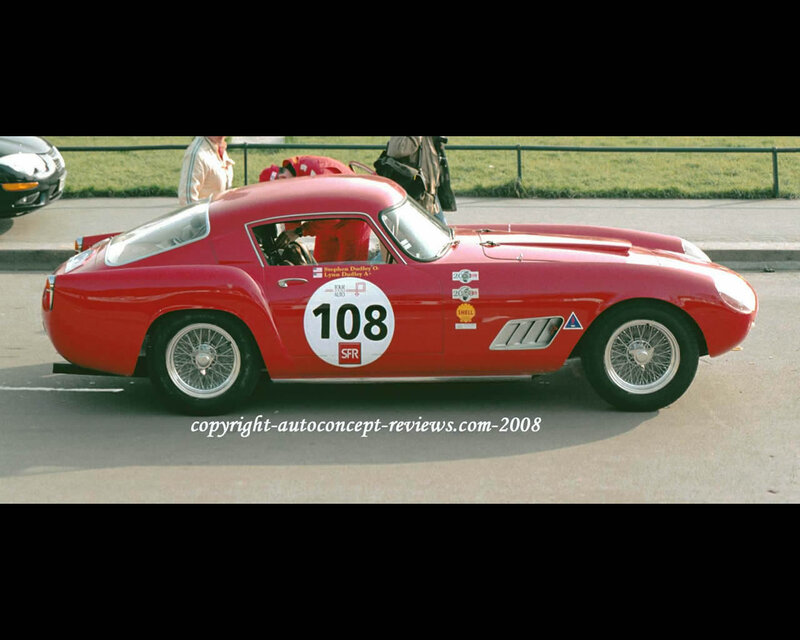 It started, in particular, a series of victories from 1956 to 1964 at the Tour de France endurance race and that soon reflected in its designation Berlinetta Tour de France. 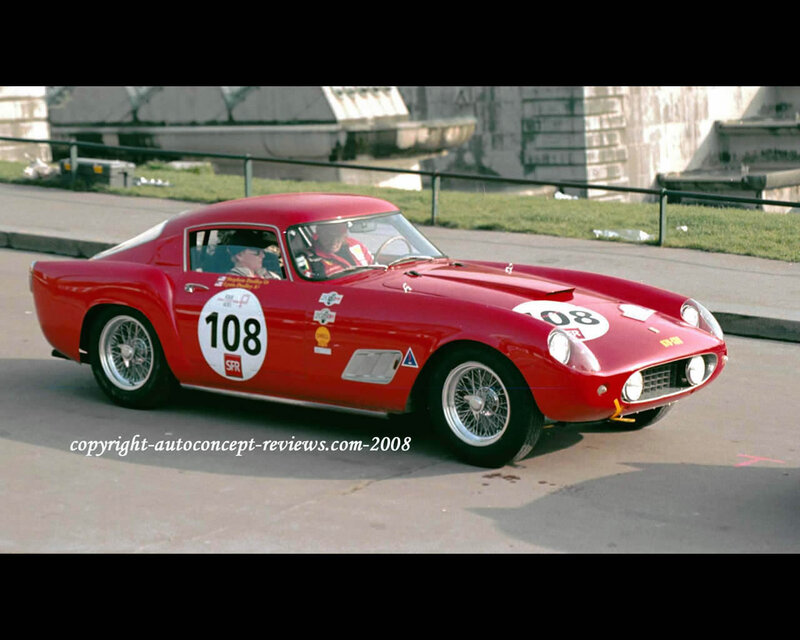 Several gentleman drivers acquired a 250 GT Competizione Tour de France and joined the professional drivers in the success story. The 2953 cc V12 with three Weber 36DCZ3 carburettors developed 240 to 260 hp at 7000 rpm. Overall lenght was 4400 mm (173 in.) while width was 1650 mm ( 65 in.) and kerb weight 1145 kg (2524 lb.). Height was 1280 mm (50 in. ).